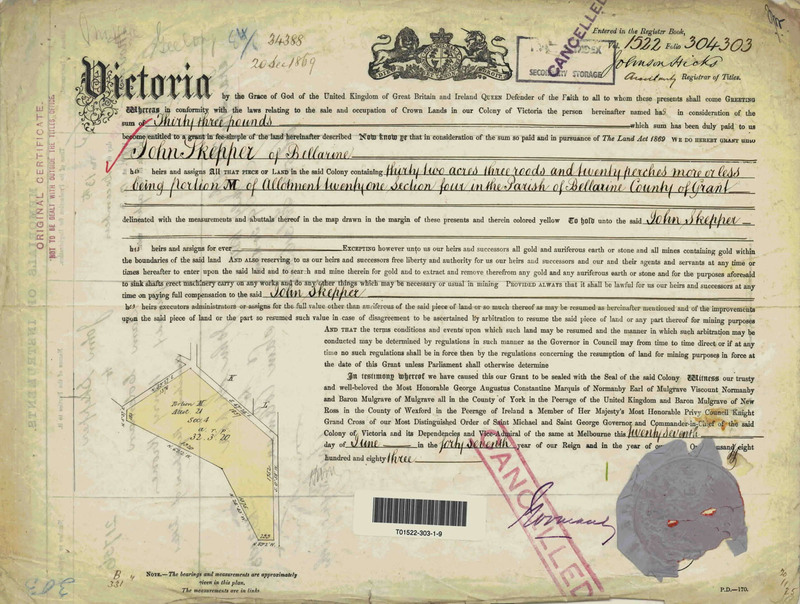 I love original documents and there is nothing better than Victorian Certificates of Title – a real work of art and so full of information. Sometimes people are dazzled by the front page and miss the massive amount of information on the reverse and subsequent pages. To date, 17,036 transactions for land in “Old” Ocean Grove have been added to the Ocean Grove Land database together with a growing number of photographs for different properties. These have been consolidated for the Geelong and District Database down to a total of 7,560 entries so far. Next Geelong Advertiser – even more!